Today I made these delicious and beautiful ‘gift box cookies’ filled with mini m&m’s. Aren’t they cute? They are also my submission for a contest where you can win a KitchenAid mixer. I would loooooove to have one! 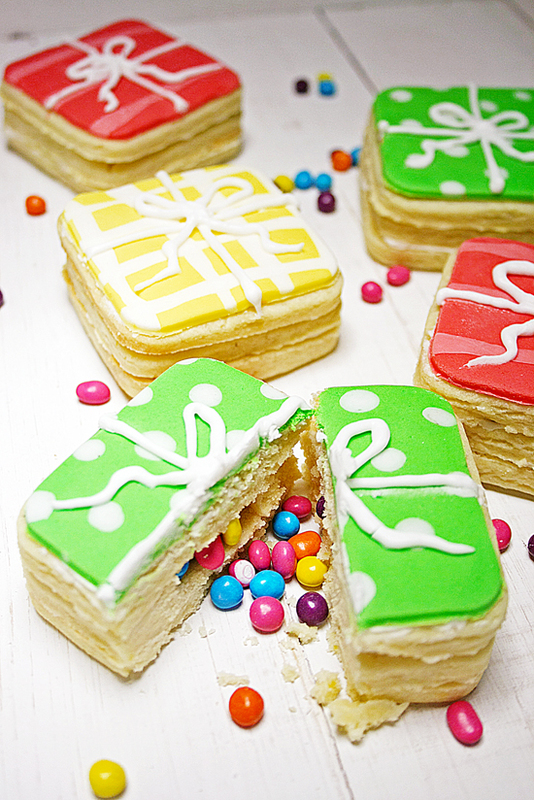 Learn how to make these cute and delicious ‘gift box cookies’ filled with m&m’s after the jump. . .
To be honest I never tasted pomegranate before I made ​​this dessert. But when I came across one at the store I knew I had to make something with it. It takes some patients to remove the seeds from the pomegranate, but the results are impressive: delicious crunchy berries. Today I have a recipe for you with pomegranate and pistachio nuts. This dessert not only looks delicious but tastes delicious too! 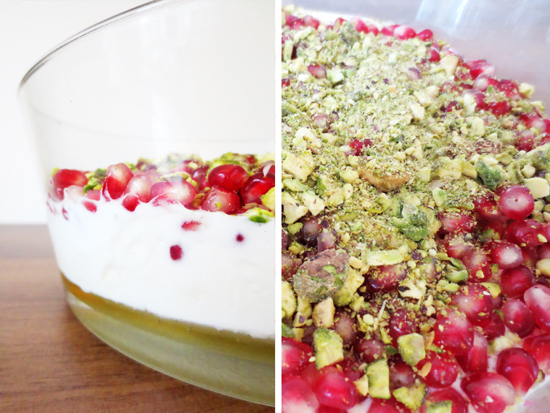 Read on to see how to make this delicious dessert with Greek yogurt, pomegranate and pistachio. . .